After playing Brando’s young lover in Last Tango in Paris, Maria Schneider, who died last week, had a tumultuous life—and refused to be typecast. Holly Millea remembers the actress. Maria Schneider, the French icon who played Marlon Brando’s beguiling, cherub-cheeked lover in Bernardo Bertolucci’s Last Tango in Paris, died in that city on February 3 following a long battle with cancer. She was 58. In 2000, 27 years after the film’s release, I interviewed Schneider for Premiere magazine’s Women in Hollywood issue. Still beautiful and petite, she arrived exuding cool, in a fitted blazer over a western snap-button shirt; tight jeans and ankle boots, her thick curly hair falling to her waist. Schneider, who had faded from view, was regaining attention as a gypsy in the award-winning Savage Nights, and Rochester's mad wife in Franco Zeffirelli's Jane Eyre, and portraying one of two love interests in The Actors costarring Jean-Paul Belmondo, Alain Delon, and Gerard Depardieu. Given her history and talent and international renown, she was the kind of star ripe for a career-reviving role in a Quentin Tarantino film. She was a story. She was also a long way from her early days. A streetwise vagabond at 15, Schneider was working as an extra in Brigitte Bardot’s Les Femmes when the established star took her in. “Maria was like a kitten,” recalled Warren Beatty, who was friends with Bardot. “She was wise and didn’t talk much.” Beatty recommended her to the head of the William Morris Agency in Paris who signed her tout suite. After a small part in Alain Delon’s Madly, Schneider was cast as Brando’s obsession in Tango. The week Brando turned 48, Schneider turned 20 and he filled her trailer with flowers. “He was father-like to me,” remembered Schneider, who was born out of wedlock and abandoned by her father, actor Daniel Gelin. “The problem with Marlon is that he doesn’t learn his text—laziness,” she said, smiling. “So when the close-up was on him, I had the script written all over my body. He was reading me!” In lieu of being interviewed for the story, Brando wrote Schneider a letter for publication. Her character had stripped down in the film, but she wasn’t about to bend over for anybody and beg for accolades. After seeing Schneider in Tango, director Michelangelo Antonioni cast her opposite Jack Nicholson in the existential drama The Passenger. This was a happier experience. Schneider got to keep her clothes on in the film, and her then-girlfriend, Joan Townsend, the Avis Rent a Car heiress, was along for the ride. After that movie’s critical success and her heralded performance, things went south. Schneider started using drugs and was fired as the lead in Luis Bunuel’s That Obscure Object of Desire. She walked off the set of her next film The Babysitter and checked herself into a psychiatric hospital in order to be with Townsend, who had preceded her there. A native of Rapid City, South Dakota, Holly Millea has been a contributing editor at ELLE magazine since 2001 profiling celebrities and writing the award winning Beauty Adventure column. 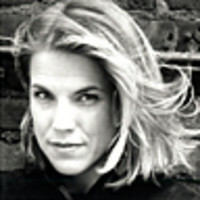 Prior to that she spent nine years as a senior writer for Premiere magazine, and two years as a senior writer for Talk magazine. She has also written for New York magazine, Details, and Entertainment Weekly. For ten years she interviewed actors and directors in the back of a checker cab driving around Manhattan for HBO's Up Front in the Back Seat.